Created by Alexis Jouvin, the table expresses itself through its requirements. The table top perfection, composed by one and only alabaster plate. 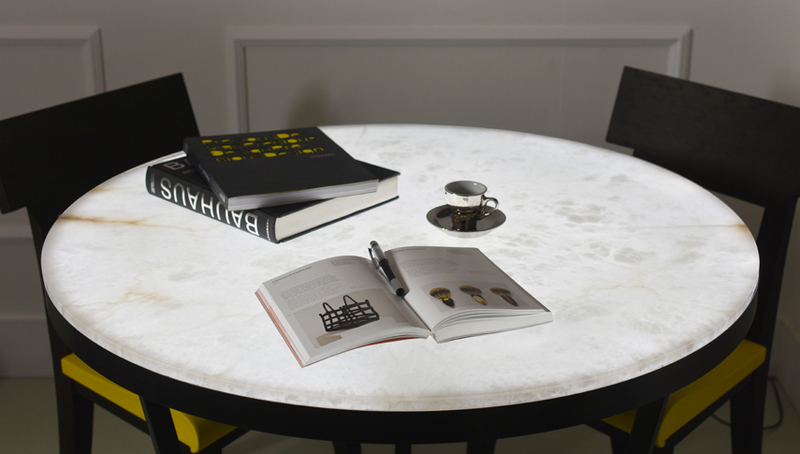 Magic of the light, embedded in a thin layer: Alexis table bewitches.